MILK is something that I absolutey love. Milk has to be my most favorite beverage in the world because it’s the first thing that I look for and buy when I go out of the country. I remember when I was younger my mom and I would be going to Jusmag to purchase milk in gallons. It felt so American because most TV shows and movies I saw from America had that iconic gallon of milk in the fridge. When the US bases left the country, well - it was goodbye milk by the gallon. Being a milk lover, I’ve learned that not all milk tastes the same. The taste is different per country. My favorite has to be from Japan, and it’s the Meiji brand. I honestly have forgotten what milk tastes like in America and in Canada (but I was told by my godchild Alleya that Canada's milk is the best!) I used to just buy small cartons of it on the first supermarket run. But then I realized I would need more small cartons, so I would just buy the big ones - big cartons and then later on a 2 liter jugs. I mean - I’m sure to finish it anyway. Here in the Philippines, it's quite rare to find *real* fresh milk. I remember those glass bottles from Magnolia that my mom and ama would buy for us, but they're gone now (and if you still have those glass bottles left - you can sell it for a nice price, it's a collectible now). What we have are those in tetra packs, and they taste different. I miss the good old milk. Now, there's whole milk, non-fat milk, low fat milk, skim milk and full cream milk. I honest don't bother buying those less fat ones, I just get the whole milk - I mean, why?! Hahaha.. I feel that skim is really watered down and I just don't like it. In the recent years, there has been those *fresh* milk deliveries and I have tried most of them. There are still a few brands out there that I haven't tried. There are brands that I really like and there are brands too that I would skip. But that's just me. 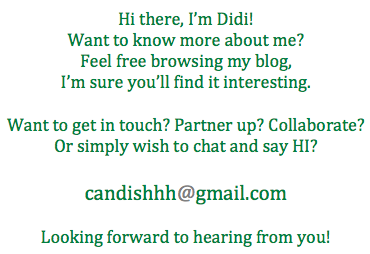 I am still very much open to trying other brands. That's how much I LOVE milk. So last week, while I was doing my usual Instagram browsing, there was this Instagram account that popped. 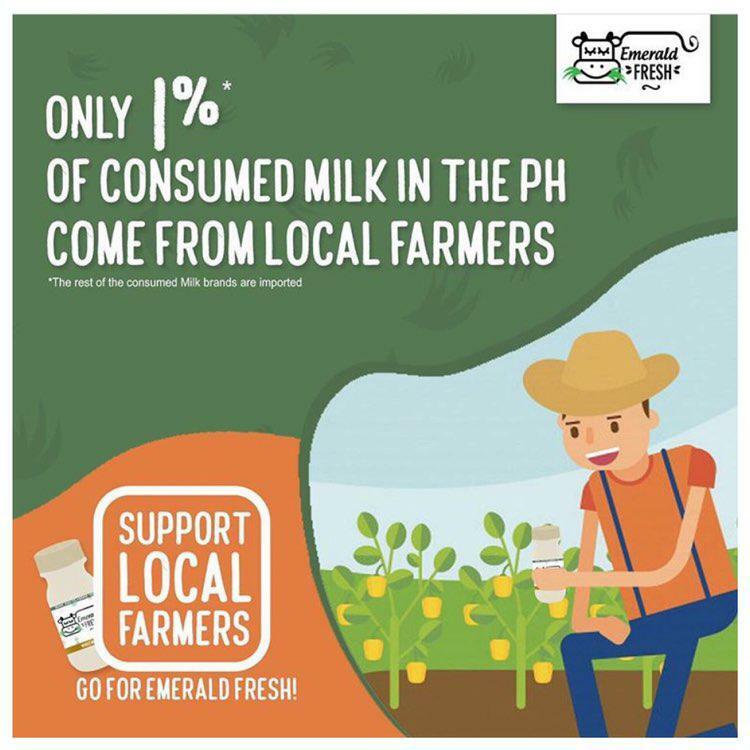 It was @theemeraldfresh, I saw in that particular post that they were selling fresh milk. So I followed the account and sent a message asking how much their product was and if they deliver or pick up. I got a reply a few minutes later. So I put in my order + a delivery charge. I asked how I can pay, and I was impressed because the accept COD, credit card payments or deposit to their BPI account. Well what do you know, I received my order a few hours after my inquiry. I was really surprised and excited! The milk arrived ice cold - I was told by the delivery man to put it in the ref immediately. Very good! I mean, he knew how to handle his product well. There are other brands that would not even inform whoever receives the milk to refrigerate it - they'll just hand the milk and that's it. I was impressed with Mr. delivery guy's *added instructions* (even if I already knew that handling of fresh milk is delicate). He was also eqipped with a credit card machine is very polite and courteous. He was also ready to answer questions like where their office was and where his farthest delivery was (they deliver to Cavite and Laguna!) When he left, I immediately tried the milk. 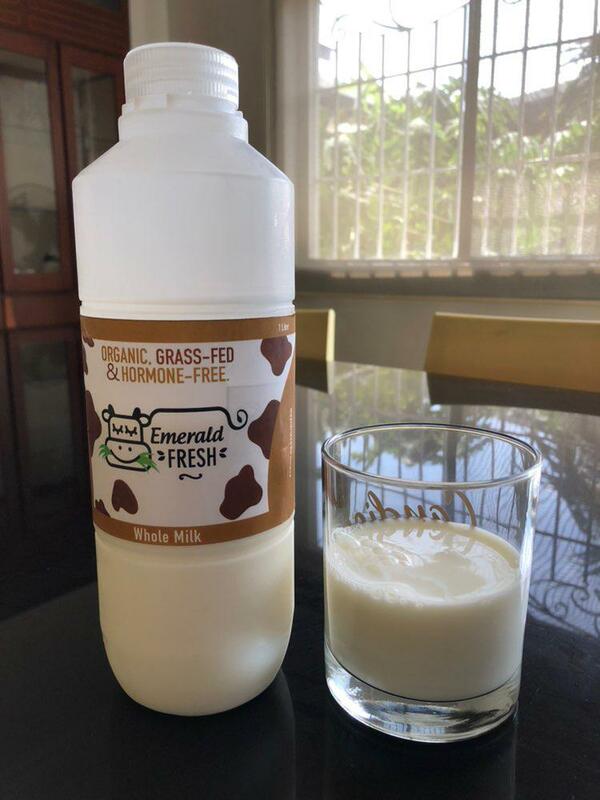 The Emerald Fresh's whole milk is the CREAMIEST I have tasted amongst all the brands that I have tried here in the country. IT IS TRULY THE CREAMIEST! And I looooved every drop of the milk. Since I'm a milk monster, I finished it in one sitting. I just had to finish it! I mean, it was THAT good! I swear, it's the best fresh milk (in Manila) that I have tried to date! It was so good that I made a follow up order and received it last Saturday. 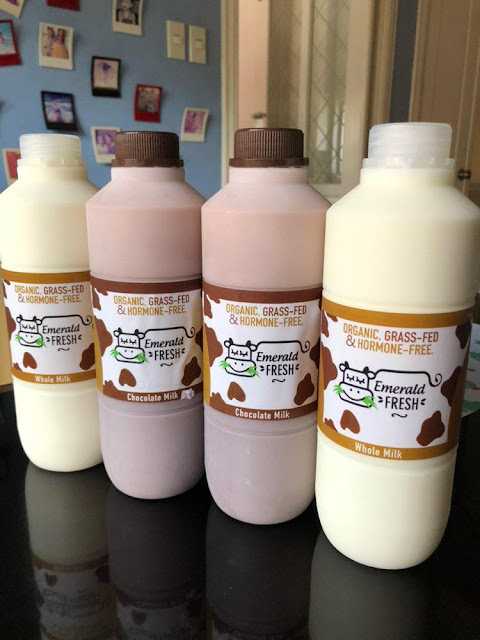 I ordered their chocolate milk too and its really good! Kailee and I love it. Wishing they have the gallon packing for both whole and choco milk! Hihi..
Place your orders now via Instagram of on their Facebook account. I promise, you won't regret it! And you know what, I just placed another order - this time 3 liters! I'm very excited to have it with my granola and for shakes and smoothies! See, I'm really a milk addict. Hahaha!